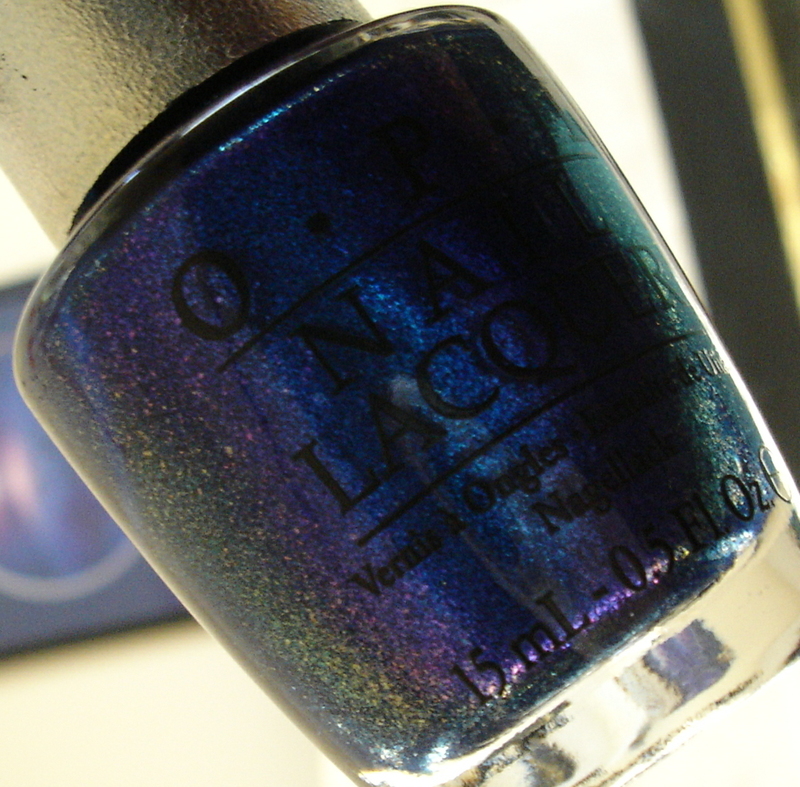 Polishology: OPI DS Magic - Magical It Is! I was planning on doing a fun design for my next mani, but I have been really sick lately, and didn't feel up to taking the time to do a design. So I decided it was time to try out this beauty - OPI DS Magic! 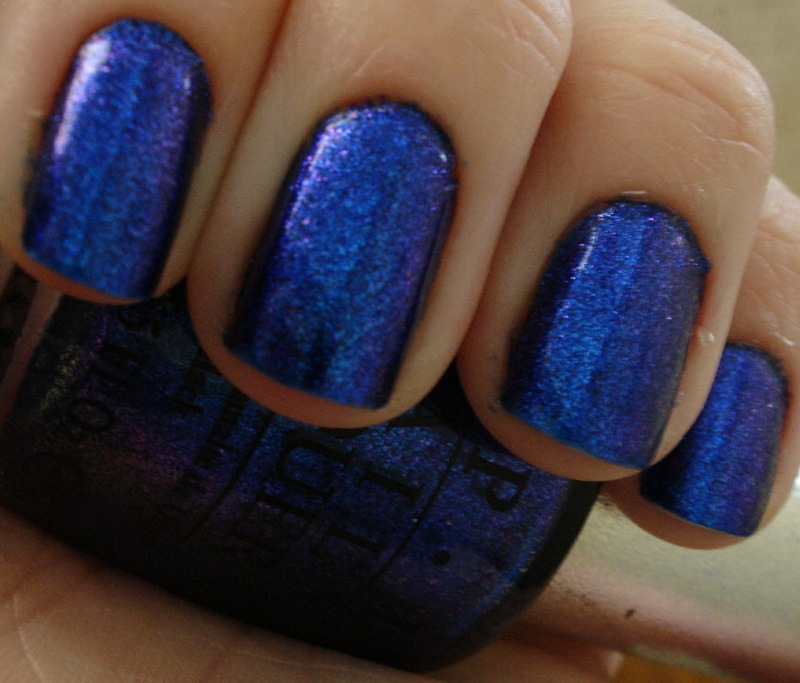 OPI DS Magic is a gorgeous dark blue with a purple-pink flash. It is completely gorgeous, and I am in love. This was three coats, although two would probably have been enough if I had been a tad more steady in my application. Dry time was great as was formula. 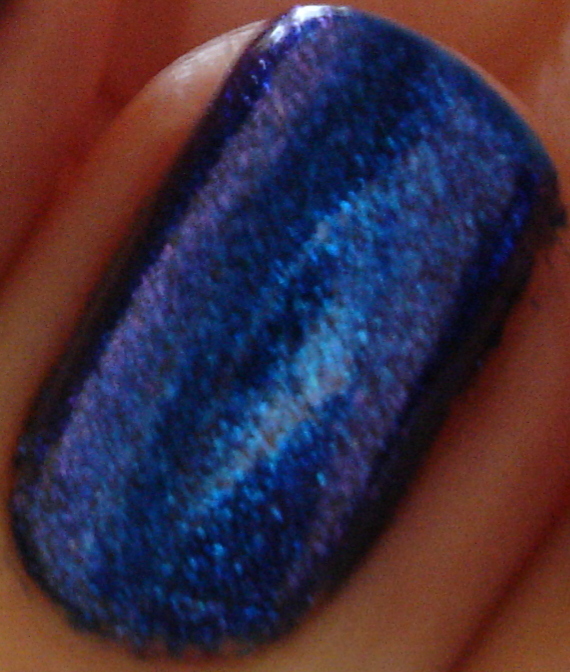 It is super shimmery, like all of the DS polishes! It was kind of hard to get a good picture of the purple flash, even though it is very easy to see on the nails. I tried to pick out a variety of pictures (of the 75 that I took!) 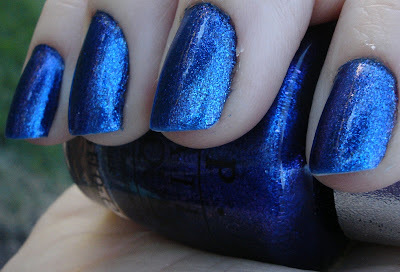 that would show you the different looks of this polish, from pure sparkly blue to that duochrome-like flash! You can see the purple well here, especially in the bottle! 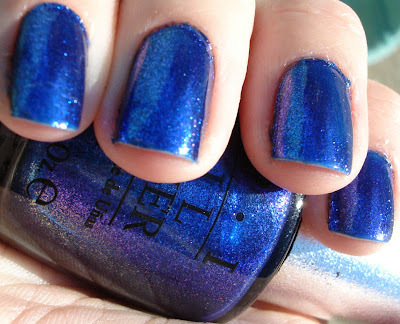 While I do not own Orly's Lunar Eclipse, I can see how this is very similar. From what I have read DS Magic is a darker blue in color, and is more opaque. However, I suppose if you already had Lunar Eclipse this may not be necessary. If not, I would definitely consider keeping an eye out for this one. This is another polish that has got me staring at my hands - I love to watch the color shift as I move them ever so slightly! Remember that today is the last day to enter my giveaway! I will be choosing the winner tomorrow, and should have another giveaway coming up sometime soon this month! I agree, glad you like it!